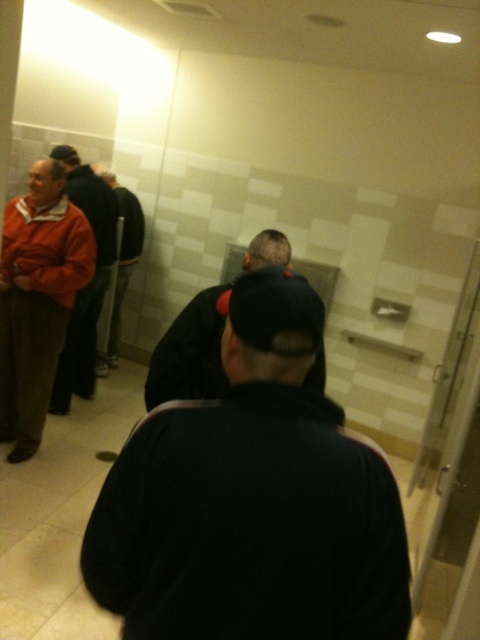 @threevolts tweets from the men's room at Target Field. Here's the Twitpic, for those of us who have restricted access to these kinds of places, being female and all. We're not impressed. How is two dudes a "huge" line? He has no idea.